Combine all ingredients, except mackerel, in a saucepan. Cook over low heat, stirring frequently, for 15 minutes, or just until mixture comes to a boil. Add mackerel. Cook 4 minutes longer. Divide evenly. Makes 2 luncheon servings. 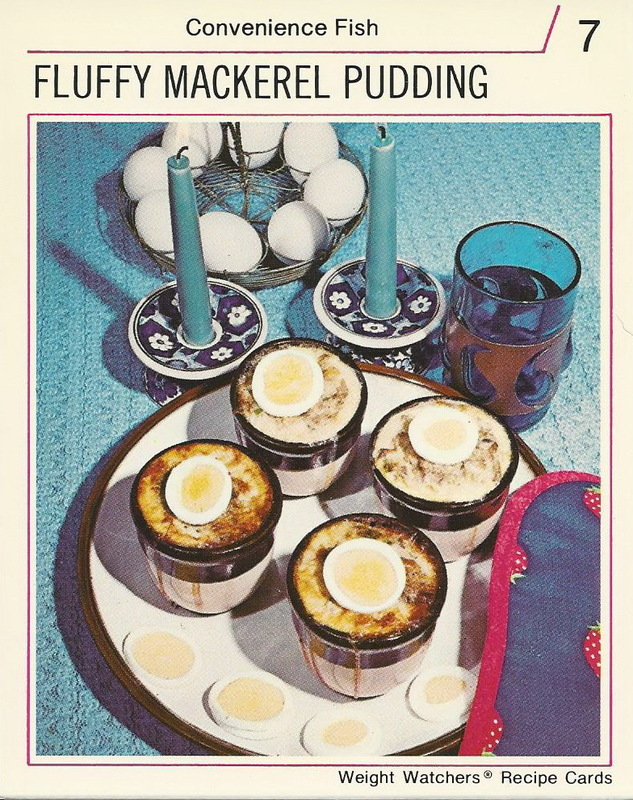 The mackerel pudding doesn’t sound half bad, though I’d never use mackerel from a tin. It makes me question my life choices when I remember that I know someone who made this. You probably don’t really want to know.